Just precious. Such a beautiful child and your image is superb. Great DoF you used on this one! Ja ho te això el nen, trobo que ja rumia molt per lo petit que es!! son molt maques i et queden molt be les fotos amb la Lensbaby, li estàs traient profit !! Stark! Die Perspektive der Aufnahme gefällt mir! Ho fas realment mol be. M´agradan les teves photos. He disfrutado de un amplio paseo por tu portfolio. Realmente entrañable. Very cute, and the soft focus really centers the view! Great shot! Sweet image..and great selective focus. Súper dof! genial el titulo y la foto! Adoro los tonos! Yes, children are always thinking, always learning. A fine portrait here. You have captured a great moment. Magnifique portrait !! Les couleurs sont très douces, c'est très agréable. Le cadrage est très bien pensé. 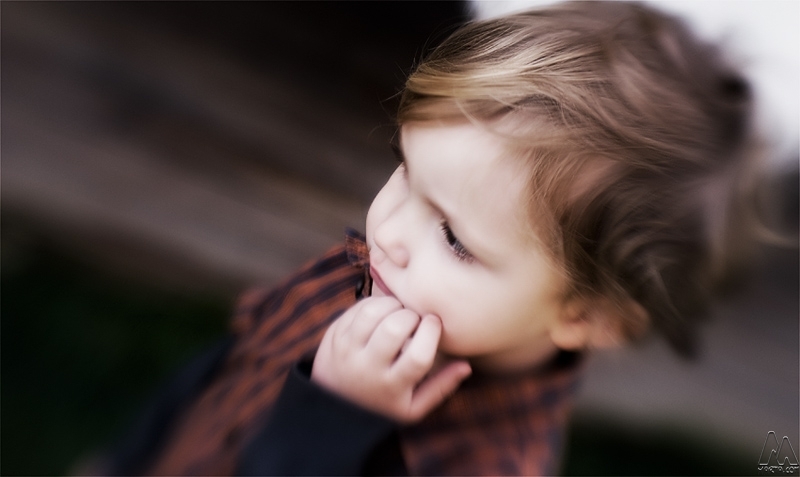 Very nice image, WHat is he looking at? what a wonderful capture of this sweet expression, well done. Cute shot. i like the soft focus used. Lovely portrait picture. Really like the blur and selective focus. Yes, he is thinking about something, but what? Beautiful portrait and a perfect title. This one gets definitely a 10/10 from me !! Stunning beautiful. What a sweet shot. Nice work with the selective focus and LB blur. Great work on focus with that one ! Excellent picture. The kid is cute, and the effect well realised. Clap clap clap. great idea and beautiful photo!